At the dawn of the space age, technological breakthroughs in Earth orbit flight were both breathtaking feats of ingenuity and disturbances to a delicate global balance of power. 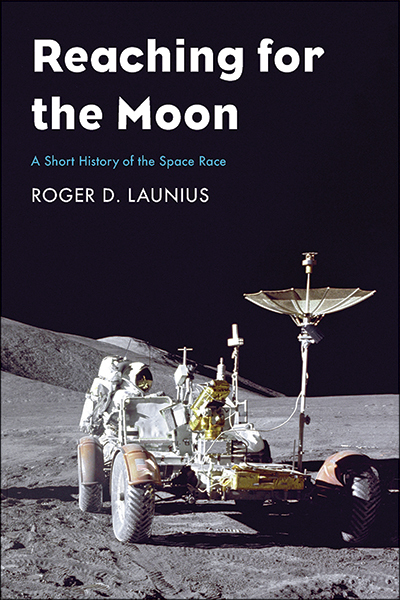 In this short book, aerospace historian Roger D. Launius concisely and engagingly explores the driving force of this era: the race to the Moon. Beginning with the launch of Sputnik 1 in October 1957 and closing with the end of the Apollo program in 1972, Launius examines how early space exploration blurred the lines between military and civilian activities, and how key actions led to space firsts as well as crushing failures. Launius places American and Soviet programs on equal footing—following American aerospace engineers Wernher von Braun and Robert Gilruth, their Soviet counterparts Sergei Korolev and Valentin Glushko, and astronaut Buzz Aldrin and cosmonaut Alexei Leonov—to highlight key actions that led to various successes, failures, and ultimately the American Moon landing. Roger D. Launius retired in 2017 as the associate director for collections and curatorial affairs at the Smithsonian Institution’s National Air and Space Museum. Between 1990 and 2002 he served as chief historian for NASA. He lives in Auburn, AL.